C. Porter, Composer - Houston Person, MainArtist Copyright : HighNote Records, Inc. HighNote Records, Inc.
V. Young, Composer - N. Washington, Composer - B. Crosby, Composer - Houston Person, MainArtist Copyright : HighNote Records, Inc. HighNote Records, Inc.
J. McHugh, Composer - H. Adamson, Composer - Houston Person, MainArtist Copyright : HighNote Records, Inc. HighNote Records, Inc.
R. Bloom, Composer - Houston Person, MainArtist - S. Gallop, Composer Copyright : HighNote Records, Inc. HighNote Records, Inc.
J. Kern, Composer - O. Hammerstein Ii, Composer - Houston Person, MainArtist Copyright : HighNote Records, Inc. HighNote Records, Inc.
M. Dixon, Composer - H. Warren, Composer - J. Young, Composer - Houston Person, MainArtist Copyright : HighNote Records, Inc. HighNote Records, Inc.
J. MERCER, Composer - H. Carmichael, Composer - Houston Person, MainArtist Copyright : HighNote Records, Inc. HighNote Records, Inc.
H. Warren, Composer - A. Dubin, Composer - Houston Person, MainArtist Copyright : HighNote Records, Inc. HighNote Records, Inc.
B. LANE, Composer - H. Adamson, Composer - Houston Person, MainArtist Copyright : HighNote Records, Inc. HighNote Records, Inc.
N. Brodszky, Composer - S. Cahn, Composer - Houston Person, MainArtist Copyright : HighNote Records, Inc. HighNote Records, Inc.
E.K. 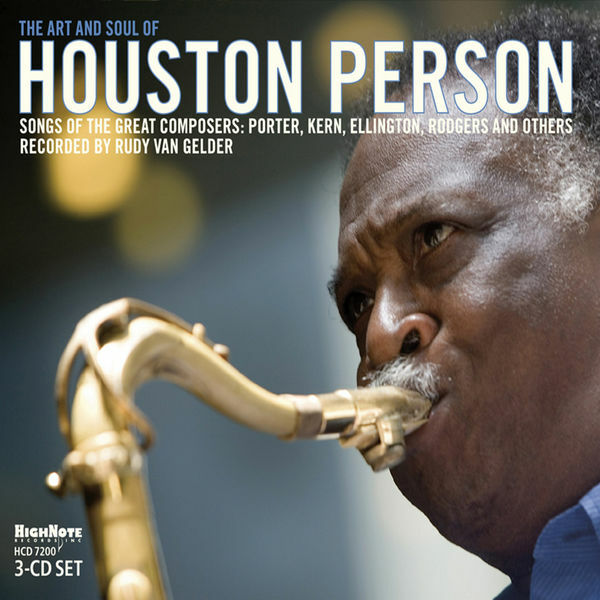 Ellington, Composer - Houston Person, MainArtist Copyright : HighNote Records, Inc. HighNote Records, Inc.
J. BURKE, Composer - Houston Person, MainArtist - J. Van Heusen, Composer Copyright : HighNote Records, Inc. HighNote Records, Inc.
R. RODGERS, Composer - L. HART, Composer - Houston Person, MainArtist Copyright : HighNote Records, Inc. HighNote Records, Inc.
J. MERCER, Composer - R. Bloom, Composer - Houston Person, MainArtist Copyright : HighNote Records, Inc. HighNote Records, Inc.
G. KAHN, Composer - Houston Person, MainArtist - I. Jones, Composer Copyright : HighNote Records, Inc. HighNote Records, Inc.
J.F. Coots, Composer - S.M. Lewis, Composer - Houston Person, MainArtist Copyright : HighNote Records, Inc. HighNote Records, Inc.
Richard Rodgers, Composer - Lorenz Hart, Composer - Houston Person, MainArtist Copyright : HighNote Records, Inc. HighNote Records, Inc.
E. Ellington, Composer - Houston Person, MainArtist Copyright : HighNote Records, Inc. HighNote Records, Inc.
L. Brown, Composer - B. Green, Composer - Houston Person, MainArtist - B. Homer, Composer Copyright : HighNote Records, Inc. HighNote Records, Inc.
J. Lawrence, Composer - W. Gross, Composer - Houston Person, MainArtist Copyright : HighNote Records, Inc. HighNote Records, Inc.
O. Hammerstein Ii, Composer - R. RODGERS, Composer - Houston Person, MainArtist Copyright : HighNote Records, Inc. HighNote Records, Inc.
Houston Person, MainArtist - A. Belling, Composer Copyright : HighNote Records, Inc. HighNote Records, Inc.
K. Weill, Composer - Houston Person, MainArtist Copyright : HighNote Records, Inc. HighNote Records, Inc.
R. Noble, Composer - Houston Person, MainArtist Copyright : HighNote Records, Inc. HighNote Records, Inc.